Total immersion into the British school education system. 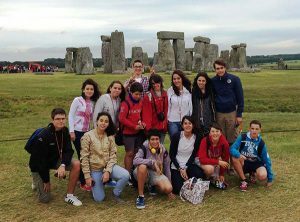 Immersion in British culture, British schools and learn the English language, whilst having an experience of a lifetime. One of the best ways to learn a language is to be surrounded by it, both while studying and socialising. Encouraging our students to practice their English skills all day, every day. Enjoy the experience of becoming a British student and join a real school programme. Education Pathway Students are placed in either independent boarding schools or state schools depending on availability of places and budget. UK2Learn works with schools throughout the UK to ensure groups are placed in the best possible school according to their preferences. Students join the school programme as if they are a student at the school. 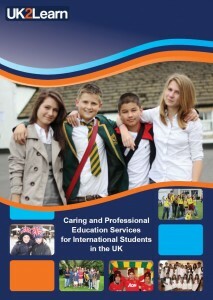 UK2Learn pairs each student with a student or buddy from the school. UK2Learn ensures the buddy is of the same age and that they have similar interests, so that they can become good friends easily. Students will copy exactly as their buddy does, so they will attend all the same lessons for example, maths, biology, photography, physical education etc. They will also attend all after school clubs and activities and really immerse themselves into the school, they will become a real student of the school during their time. Students can stay with a local family or as a boarding student at the school. If they stay at the school they can share with other students the same age or alone if they so wish, UK2Learn prefers for them to share with other nationality students or English students as this really helps them to improve their English. UK2Learn will also include one excursion to London each weekend. We can suggest an exciting escorted walking tour of all the major sites in London; Buckingham Palace and the Changing of the Guard, St James’ Park, Trafalgar Square, Big Ben and Parliament. Covent Garden, Harrods, and Oxford Street and Selfridges are popular destinations for shopping excursions. If a group would like UK2Learn to organise a visit to another city or attraction then this can be arranged as well. Meet the friendly, professional team behind UK2Learn, who together with their skills and expertise have created an unmatched blend of fun, challenging and memorable courses. Started by Suzie Mackie along with her second son Alex, UK2Learn is joined by an enthusiastic team of educational experts. Meet them here.